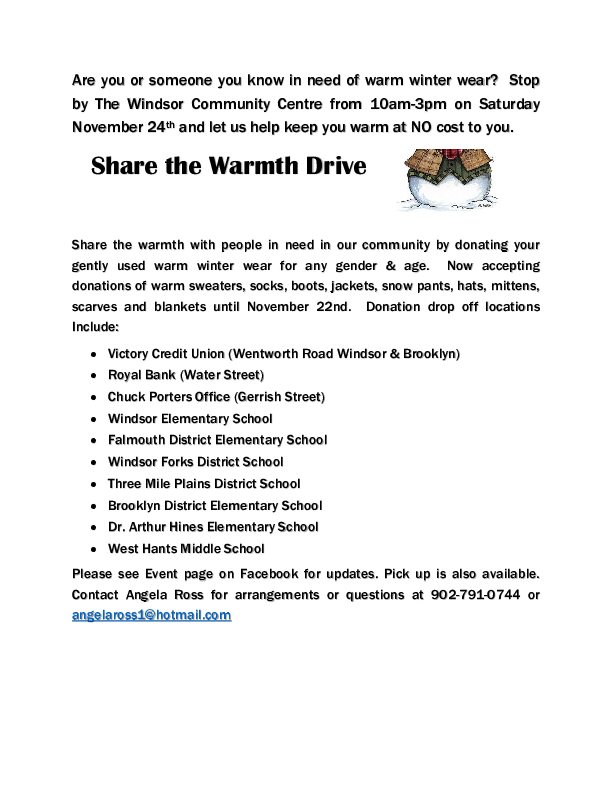 The Avon Valley Share The Warmth is looking to help keep those in our Community warm this winter season. 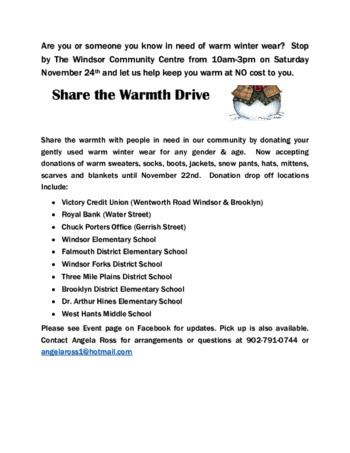 We are now collecting gently used warm winter wear. Please consider donating your unwanted items when cleaning out your closets for the changeover of seasons to those in need. Donations will be collected until November 22nd and On November 24th at the Windsor Community Center we will be giving away these items for FREE to those in need from 10am - 3pm. There will be hot beverages and sweet treats to enjoy as well.